There has been a ton written and talked about ubiquitous and pervasive computing. Most notably, Mike Kuniavsky’s thoughtful series of talks, blog posts and his book Smart Things provide the most complete overview of where the smart object world is headed. At its heart, our world of things is becoming more connected as the things themselves gain sense and intelligence. At this point, it’s a matter of “how and when” rather than “if” this will happen. Recently, we’ve also seen a wellspring of articles from main street publications like Wall Street Journal to tech rags like Tech Crunch discussing the rise of “Appification”, eg. to modify a service to make an “app” of it. Apple recently gave away a $10,000 iTunes (App store) gift card to Chunli Fu of Qingdao, China to celebrate its 25 billionth! app download. Revenue for all mobile app stores in 2011 was pegged at $3.8 billion. Looking forward, research firm IDC projects total annual mobile app downloads–Apple’s combined with those from Microsoft, Google, Amazon and other app stores–to jump to over 182 billion by 2015. Just yesterday, the Instagram social mobile photo app was acquired for $1 billion by Facebook. Let’s face it: apps are successful by any measure. In fact, it’s becoming clear to me that the “Appification of Things” will be the first wave of truly ubiquitous computing. People’s comfort and engagement with apps takes the fuzzy, intangible notions of pervasive computing or smart objects and makes them gettable, tangible and personal. It’s a natural, incremental step in a larger shift. Let’s look at a few product announcements from the last several months to illustrate. Nike led the charge back in 2006 with its introduction of Nike+ sensor and iPod kit. We didn’t realize at the time that this was just the tip of the “Appification of Things” iceberg. 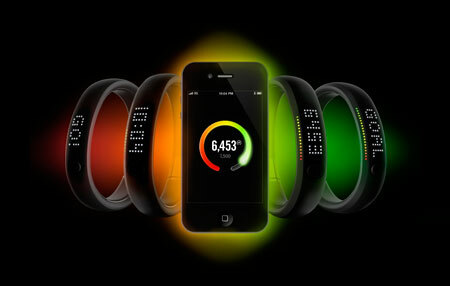 2012 has revealed the extent to which Nike is looking to pervade our lives with Nike+ Fuel (band), Nike+ Training and Nike+ Basketball. Nike’s Fuel measure and wristband product looks to make the measurement of daily general activity while its Training and Basketball speciality offerings look to make activity measurement smarter and more effective for specific sports. Having just spent my first week as a proud owner of a Nike Fuel band, my own behavior is a prime example of how smart objects help us change behavior: I haven’t taken the elevator at work since wearing the band; I make a conscious decision to walk home on occasion. We could expect Nike to continue releasing products with built in measurement integrated with apps which enable owners to talk to their sporting equipment, and by proxy, their bodies–the appification of sport products. In October of last year, there was a huge announcement in the world of thermostats, which is a bit bizarre given it’s the world of thermostats. The reason? It was reported that famed iPod creator Tony Fadell wanted to reinvent the HVAC industry with the introduction of the Nest Learning Thermostat. A smart app-connected home-heating controller, Nest learns the tendencies of its owners, programs itself and, ultimately, helps owners save energy. While Nest is a beautiful object and can be used solely by itself, it becomes more capable and more aware when accessed through its suite of Web, iOS and Android apps. As the company itself says, “its apps now give you more control, more info and easier access.” It’s the appification of home HVAC products. A month later, in November, two MIT grads1 behind a company called Supermechanical announced a Kickstarter project dubbed “Twine: Listen to your world, talk to the Internet.” With a small, rubbery piece of hardware connected to a variety of sensors–temperature, moisture, movement, etc.–and a related “Spool” web app, Twine makes it super easy for the marginally geeky to connect our everyday objects to the Internet. Initially looking for a goal of $35,000 in funding to get their project off the ground, the inventors were astounded when they took in more than $556,500–the third highest Kickstarter total ever at the time. This type of demand for an offering which is explicitly created to connect basic physical products or aspects of our home, shows how much appetite exists in the appification of things. Finally, I learned about the French company Withings last week when a friend posted excitedly about a new baby monitor he had purchased. The company, a competitor to Medisana, looks to be doing great things with products like connected body scales, blood pressure monitors, baby monitors and soon, a baby scale. After modifying our daily relationship with the computer with the web, then with telephony and television services with telephony and television on IP, permanent broadband access to internet networks opens the way to a profound revolution of everyday objects. Increasing the capacities of an object by network resources is giving it access to infinite calculation and storage capacities without increasing the cost. The object's interfaces are also ported to appliances like mobile phones or computers, to benefit from their resources. The everyday object thus sees its performance increased tenfold, its user interface and design improved, and enters an ecosystem of permanently connected appliances. Withings’ founders get it. It’s not just “connecting” an object that matters but also porting an object’s interfaces in the form of apps to really enable connectedness. 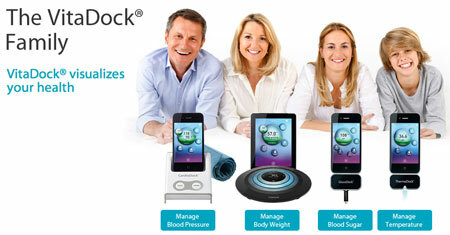 It’s the appification of home health products. Nike, Nest, Twine, Medisana and Withings: five examples illustrating the first era of truly pervasive computing–the Appification of Things. Apps mediate the fuzzy data behind the things themselves to help humans interact more successfully with their products and also with each other. More specifically, apps introduce a set of “ smart attributes” to physical offerings which would not otherwise be easily accessed. Smart attributes which enable us to understand and change our behavior include: measurement, visualization, optimization, distribution and connection. Next week, I’ll unpack these attributes in more detail and illustrate their importance. 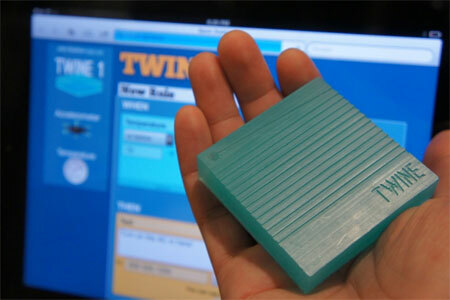 1 Full disclosure: One of the two inventors of Twine, John Kestner, was a colleague of mine at the IIT Institute of Design where we worked on the User Insights Tool project together. Here he is (on the right) inspecting some work with another colleague of ours, Enric: John at the IIT Institute of Design. John, where’s my Twine? !